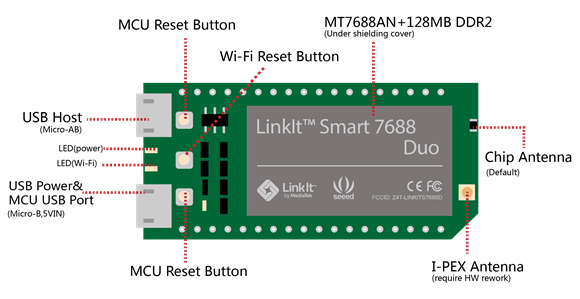 LinkItTM Smart 7688 Duo(a compact controller board) is an open development board based on MT7688(datasheet) and ATmega32u4. 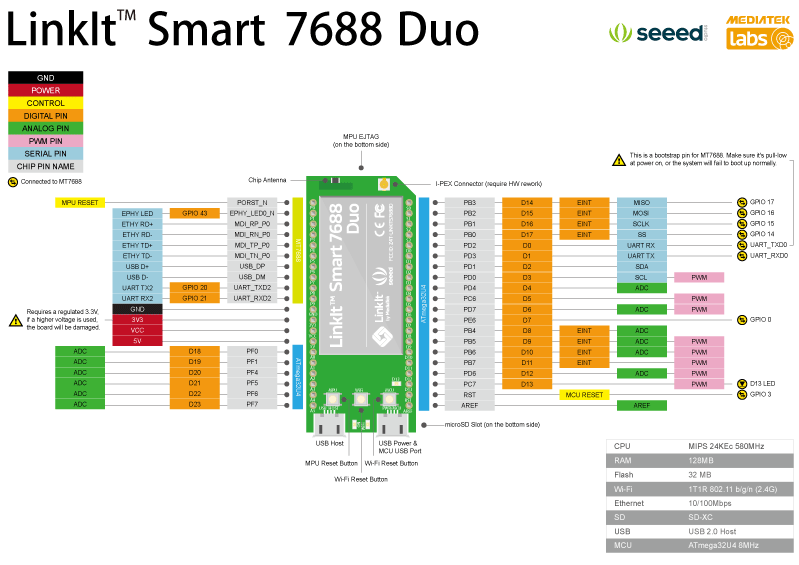 The board is compatible with Arduino Yun sketches and is based on the OpenWrt Linux distribution. Has mediatek abandoned this? Where are the promised open source drivers (the mt76 doesnt work at all)? Hi there, please refer to https://github.com/openwrt/mt76. thanks. Is it possible to flash MCU directly from the MPU ? Hi there, Sorry, it does not support. thanks. Will the board work if I resolder a 16MHz ATmega32U4 5.0V onto it? so resoldering a 5V AtMega32u4 will work? will the kit work for 24/7 in 50 degree Celsius. because i want to deploy in real time application.